Medianews - Mr. Robert Hurley visits Omega Group’s automobile show rooms and service centers"
Honorary Director of the British Georgian Chamber of Commerce, Mr. Robert Hurley, together with the Director of the BGCC, Ms. Mako Abashidze, has visited Omega Group’s automobile show rooms and car service blocks during the visit to Tbilisi to get familiarized with the business run by the company. The representatives of the company, Mr. Giorgi Kurdadze and Mr. Nikoloz Asanidze introduced the principles of the automobile business performance by Omega Group to the guests and guided them to the Maserati show room, which is under construction currently. 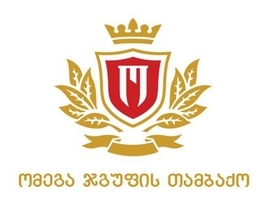 The Director of the British Georgian Chamber of Commerce, Ms. Mako Abashidze said that Mr. Hurley’s visit was another confirmation of the close cooperation between the Omega Group and the BGCC. She also stated that Omega Group was one of the founders of the British Georgian Chamber of Commerce and the founder of the Omega Group, Mr. Zaza Okuashvili was the Honorary Chairperson of the BGCC. Ms. Mako Abashidze emphasized the importance of Mr. Hurley’s visit to Georgia and expressed her hope that his experience would bring the Georgian and British businesses much closer. “Mr. Robert Hurley is the Honorary Director of the British Georgian Chamber of Commerce, who has joined the working team recently. He has got a very interesting career of great experience. For over ten years, he chaired the Foreign Relations Department at the Ministry for Trade and Investments of the UK and that’s why I believe that his expertise will be crucial and bring British-Georgian trade relations on a different, higher level”, - Ms. Mako Abashidze has said. In his turn, Mr. Hurley said that he was impressed with Omega Motors and the process of construction of the show rooms for Maserati, Opel and General Motors brands. The honorary guest did not rule out the growth of British investments in this sector. The representatives of the BGCC have been also familiarized with the further investment plans of Omega Group. 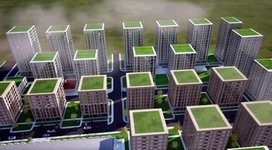 “I think that Georgia has good potential in terms of economic development and attraction of investments. 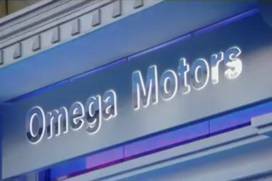 Omega Group is a good example of this as one of the largest and successful car importers. The British party is interested to increase investments in Georgia and enhance the business”, - Mr. Robert Hurley said. It should be noted that Omega Group, founded by Mr. Zaza Okuashvili, almost completely covers all segments of automobile market in Georgia: BMW, MINI, IVECO, OPEL, CHEVROLET, MASERATI. 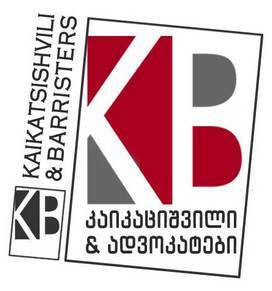 Mr. Zaza Okuashvili was recognized as the Best Investor of the Year 2016 at the annual business award ceremony held by Georgian Times and Georgian Opinion Research Business International – GORBI few months ago.